The Bluetooth speaker has become a growing necessity in almost every music lover’s household. With an array to choose from, all with their own set of unique capabilities, it can be a challenge to find the right speaker to fit your needs. For anyone looking for a speaker on the go, the Oontz Angle 3 Ultra should be considered. 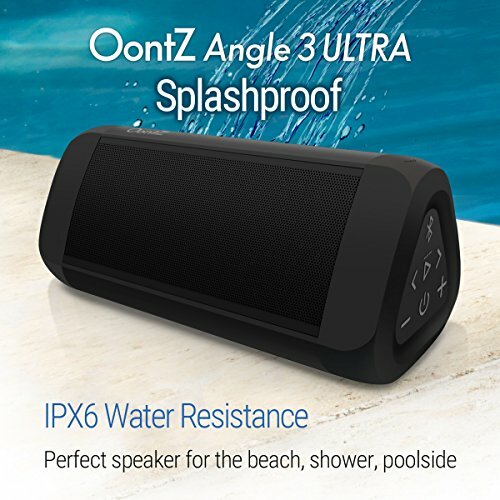 Oontz is a long-standing company that has a plethora of speakers to choose from, all with different advantages and disadvantages, but the Angle 3 Ultra is their foray into the affordable speaker that can go anywhere: camping, BBQing, backyard lounging, or poolside recreation. 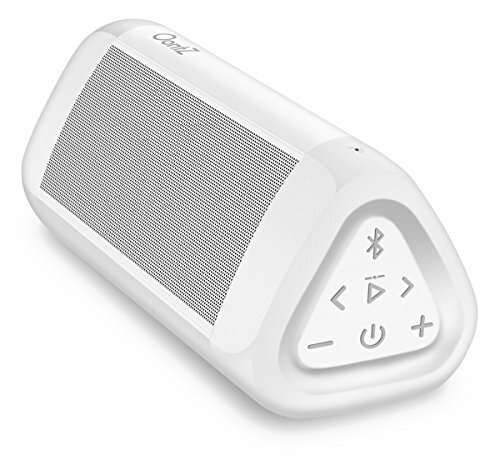 The Oontz Angle 3 Ultra is a portable Bluetooth speaker that is highly affordable, available for under or around $50. 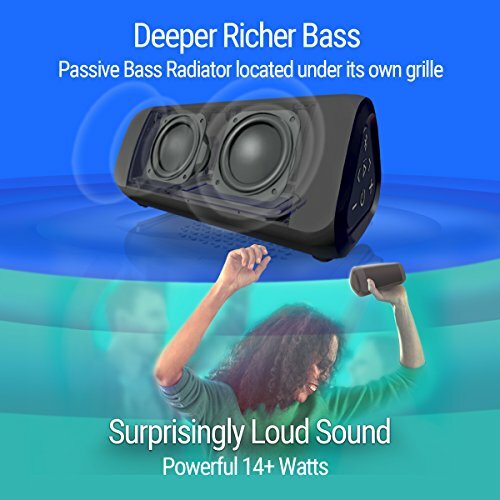 It’s a nicely sized speaker that offers a full sound and rich bass that can pair with your wireless devices to supply any casual hang-out with a solid sound. The Oontz Angle 3 Ultra can compile most of what you’d get in a substantial speaker system into a palatable, economical package. It has a stylish design that is adaptable as you can choose to stand it up or down. The triangular shape has a unique combination of curves and edges that keep it from having hard corners that if dropped could do damage to the speaker. It plays standing up or laying down and has rubberized contact points that protect it from furniture or other hard surfaces. This allows it to be deployed when on-the-go. It is an incredibly durable speaker. The set-up is very easy as it is able to connect via Bluetooth in a matter of seconds to your iPhone, smartphone, tablet, laptop or notebook. It can play from TVs and non-Bluetooth devices using a standard 3.5mm audio cable connection that can be utilized through the auxiliary jack. 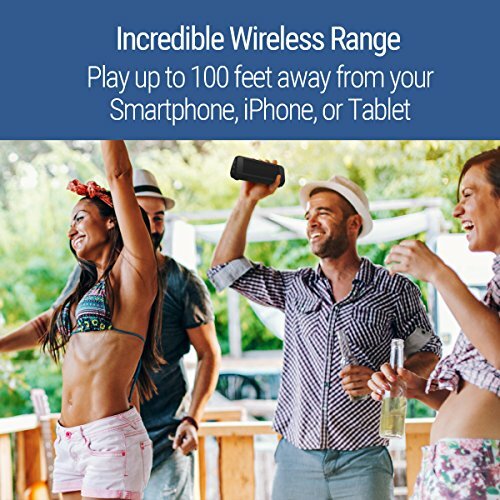 The Oontz Angle 3 Ultra has a substantial range of sound as it can wirelessly play your music from up to one hundred unobstructed feet away. It comes with a rechargeable battery that includes a 6 foot long Micro USB cable that connects to a wall charger (which is actually not included) but can also plug into your PC or laptop. As far as sound, it will give off a full, tight, satisfactory bass. The digital audio processor boosts the bass and enhances the clarity of its rich mids to give it the power to fill a room. The 14W of power, along with dual stereo precision, keeps the speaker from distorting. It makes for a terrific at-home speaker. Often it can be challenging to find solid midrange in speakers of this size and at this price point, but the Oontz Angle 3 Ultra offers clean treble, perfect tonal balance, and an ability to feel spacious while supplying full musical characteristics to heavy production. The speaker weighs in at an amazingly light 15 ounces, which makes it perfect for hiking, backpacking, or overall travel. It is also very compact: 6.4” in length, 2.8" height, and 2.75" in width. The battery life is substantial as it can play for a full 20 hours on a full charge. 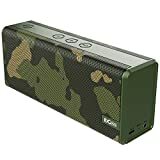 The wireless speaker itself can also be used for phone calls from your iPhone or any smartphone when connected over the Bluetooth. Not to mention, it possesses a built-in mic. 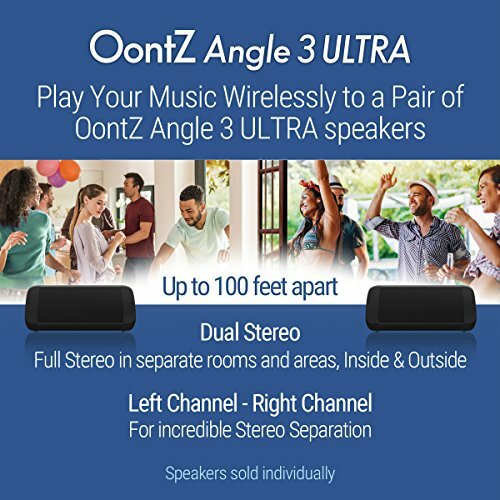 The Oontz Angle Ultra 3 also allows for wireless dual pairing, quickly being able to set up with two speakers playing at the same time, one serving as the left channel, and the other serving as the right channel which gives an incredible stereo sound separation from up to one hundred feet apart. The second speaker is, of course, sold separately. If you own two speakers you can have the full stereo experience. This is a unique benefit. Each time you turn on the speakers, they will automatically connect with one another and create a dual wireless stereo. As is not commonly found with its competitors, the Angle 3 Ultra is also water and weatherproof. They boast an ambitious claim of being “rainproof, splash-proof, and dustproof.” This is unique to a speaker of this quality and size, as this allows you to listen to your favorite music in the shower, or bring the speaker with you on trips to the beach, the pool, or on the golf course if you wish. It is IPX6 Certified Water Resistant. However, as most speakers this size, it is not without its problems. The performance can, at times, sound terrific, but with certain tracks, it can fall a little flat. Many speakers of this size usually suffer from distortion at higher volumes. To keep the Oontz Angle 3 Ultra from distorting they have implanted a digital signal processor that limits the maximum volume and also strips out some of the troublesome frequencies that can cause the speaker to distort. Bigger sounds that introduce lower frequencies, that would make other wireless speakers warble with the hard bass lines, are balanced through the speaker, toning down the difficult to process baseline. This is potentially good and bad as you lose layers of production, but it supplies lots of clarity. Many Bluetooth speakers in this class are known for reasonable to poor midrange and vocal clarity, but the Ultra allows for relatively crystal clear midrange. You will hear a presence boost in the treble that helps the clarity, which is a current trend in the market of speakers under one hundred dollars. A good experiment for this speaker is testing with songs that have deep bass frequencies that would tend to hurt most small speakers. You will find, however, that the Ultra tends to hold its own. It’s not going to shake any room with its bass power, but considering that the speaker only weighs 15 ounces, it outplays its size. With the twin custom stereo neodymium drivers, it handles heavy bass and balances it with natural midrange and clean highs. The bass is also assisted due to the passive bass radiator that is placed, albeit smartly, behind its grille, which gives the woofers separation and helps to enhance the clarity. 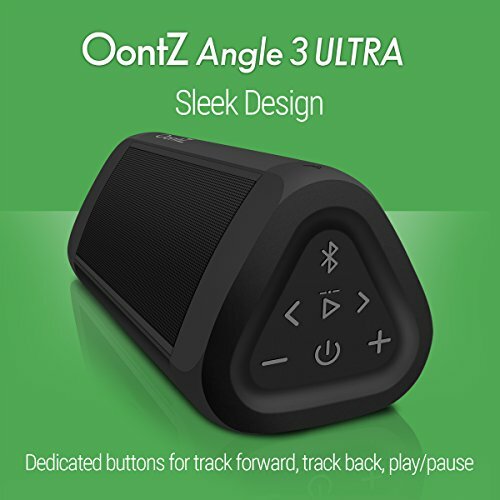 The Oontz Angle 3 Ultra comes in an easy-open package, and the package is recyclable, and while the speaker is very durable, it is highly recommended that you get the carrying case, which is sold separately. As is commonly found with speakers of this wattage, the Oontz Angle 3 Ultra can be purchased for somewhere in the neighborhood of $50. However various outlets, like Amazon or Best Buy, will offer these speakers for as low as $40. Rest assured, if you’re looking for a speaker in the $50 range that can also supply premium sound, this might be your best price point. The Ultra has quality sound that could be compared to some speakers in the $100 range. If you’re looking for a speaker that can hook up to a turntable ,this speaker is a fine choice, but it should be discouraged as its primary use. For vinyl, as always, it is stressed that you have a preamp or equalizer. But if you’re looking for the sound to stretch outside, with this speaker offering one hundred feet of connection, this is a good fit. Upon further examination of the speaker’s competitors, this appears to be low pricing but is higher-end as far as value. Many speakers of this price range will either be unable to supply hours sound or are unproven in being long-lasting, durable systems. But there are several alternatives. So if you’re looking for premium sound but at a higher-end bargain price, then the Ultra is probably the speaker you’re looking for. To give you an idea of what the competition is, and what options sit before you, we’re hand selected several options that share similar pricing. 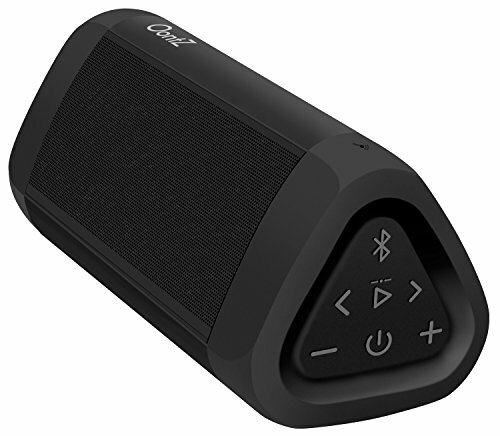 Tom's guide calls it "the best Bluetooth speaker value". 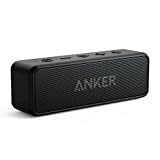 The Anker Soundcore 2 offers a terrific sound for its size with an enormous bass from its dual drivers. It has an advanced Digital Signal Processor that allows for booming bass with almost zero distortion. The speaker boasts an “Intense Bass: Exclusive BassUp” technology along with a patented spiral bass port that helps boost low-end frequencies, making them hit harder. This makes this speaker a perfect choice for hip-hop. It’s a durable speaker with many safeguards in place that protect against rain, dust, snow, and various spills. It also has long-lasting battery life for 24 hours. Unfortunately, there have been reports of the bass taking overwhelming the music, along with the internal system's durability. Many people try to play the speaker at high volumes, but due to some unsteady auto volume, it makes it easy for the speaker to blow-out. The DOSS Soundbox offers a limited, quaint sound with only 6W of high-performance power. It has two enhanced subwoofers that create crystal clear sound. It is compact and portable with a colorful acoustic skin that is supported by durable material and can handle limited, but most weather conditions. The Bluetooth range is not very strong; the speaker can only maintain contact from 33 feet away. It comes with a micro USB cable, a 3.5mm audio cable, 24 hour Los Angeles centered customer service and a 12-month warranty. The battery life is somewhat thin, only lasting around 12 hours and taking up to 3 to 4 hours to charge. Most complaints for the DOSS Soundbox are, that while the price is almost impossible to beat, it has trouble maintaining a connection. Its max distance is a paltry 33 feet, and sometimes within that, it can even have some difficulty. Not to mention, the battery life tends to fluctuate as the volume increases. Overall if you’re looking for a wireless speaker under $100 but can offer premium sound, you would be hard-pressed to find a better speaker than the Oontz Angle 3 Ultra. It provides quality bass for its size and keeps itself from distorting, which is a rarity for a speaker of this size and in this price point. Bottom line: for the price that the Oontz Angle 3 Ultra is offered at, and the durability, it is a speaker that is hard to beat. You can’t go wrong here. The Oontz Angle 3 wireless speaker is an easy to use device that produces bigger sound. It also features a slick and durable design for longer service life. However, its sounds can be distorted in higher volume.